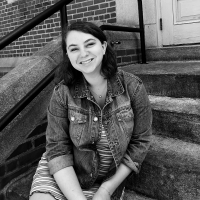 Hailing from Massachusetts, Shira is a junior double majoring in communication and human rights with a minor in human development and family studies. In addition to being the Operations Manager at WHUS, she also hosts her own weekly show on Thursday nights at 7. Her favorite color is tie-dye and her first concert was The Wiggles.